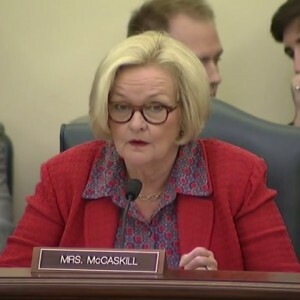 Health care costs for people age 50 to 64 would dramatically increase under a GOP plan to replace the Affordable Care Act, according to Senator Claire McCaskill (D-Missouri). She told MSNBC the legislation is not going to work. The Congressional Budget Office says about 14 million people would lose insurance after one year under the new plan. The legislation also takes money away from Planned Parenthood. Many Republicans say Obamacare is collapsing and a patient-centered system must be adopted that’s not a government mandate and brings down the cost of care and insurance. Some Republican say everyone will have access to health care under the new legislation. Senator McCaskill disagrees. McCaskill said the bill includes more than $300 billion in tax cuts for the wealthy. Democrats say it slashes Medicaid funding to pay for the tax cuts.